A black, super chic pair of shades from Dior with these ruffles on the sides of the frame whcih makes them pop out and look ultra glam. Used three times, bought this summer. 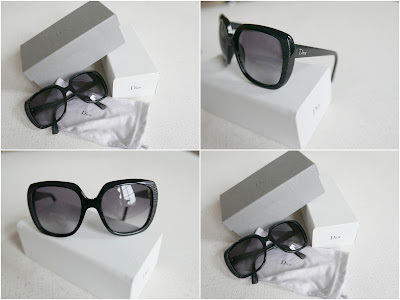 Comes with Dior box, package etc. No signs of wear at all. Click on the picture for close up! Price: 1600SEK, new this summer 2700SEK and i'll stand for the shipping world wide. For serious buyers, please email me at stina_auer@live.se and except a fast reply with paying instructions.